Moving on to garage decluttering! The garage is a BEAST of a space. 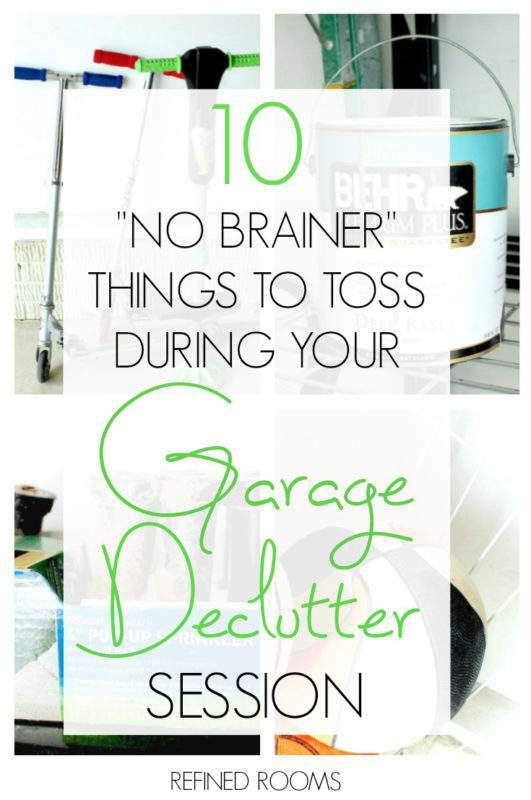 And garage organization just so happens to be the focus this month in the Organize & Refine Your Home Challenge, I’ve compiled a list of 10 “No Brainers” (and a BONUS item) that you can immediately place into the “toss” pile during your garage decluttering sessions. When decluttering, my first piece of advice is to always go for the low-hanging fruit. Well, it doesn’t get any more “low-hanging” than trash. 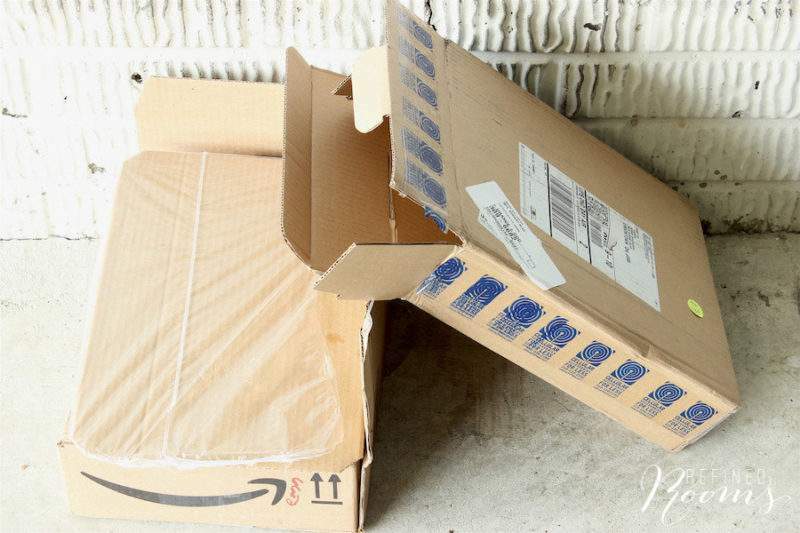 As you begin to declutter your garage, you’ll inevitably come across items that belong in the trash can, but just didn’t quite make it there for some reason (like these random Amazon boxes that seem to always be littering up our garage). 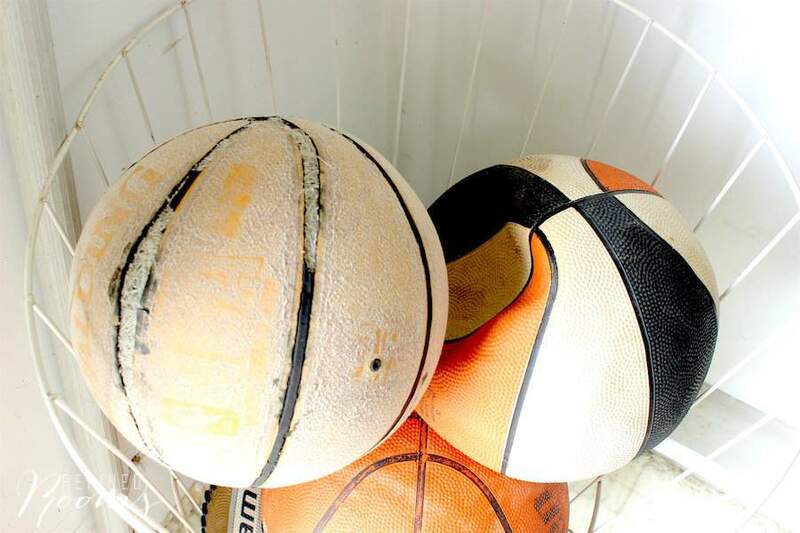 Now’s the time to walk those items over to the trash can. There. doesn’t that feel good? Phew! Once you clear out the items on the No Brainer List, you'll be well on your way to conquering that garage clutter, and being able to park your cars in the garage. What items will you be tossing from this garage decluttering list? What else would you add? 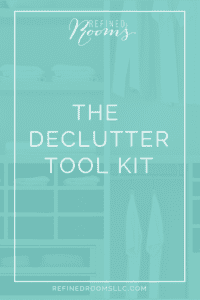 Share with the rest of us one of the items in your garage decluttering toss pile! Is Garage Organization on Your To Do List This Weekend? I so-o-o-o need to get in my garage and start doing a massive cleaning-out project. Thanks for the tips and motivation! I think I’ll wait for fall, though. (We’re in the mid-to-upper 90’s today). Great list! Our garage is a hot mess. Once the weather cools down here in Arizona, conquering our garage is top of list. Visiting from Tutorials and Tips party. I can’t imagine that July is the ideal time to declutter a garage in Arizona LOL! This is the perfect way to break down this inrfimatoon.